Developed, tested and manufactured in Singapore, Hyflux's proprietary Kristal® Ultrafiltration (UF) membrane has been installed in over 400 locations worldwide. 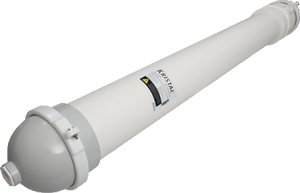 Since its launch in 1999, the Kristal® UF membrane has been continuously upgraded through extensive research and development to meet increasingly challenging feed water conditions. Our in-house team of scientists, situated at one of Asia’s largest research center outside of Japan, have now developed a Polyethersulfone (PES) hollow fibre membrane that offers superior tensile strength that is able to produce consistently high quality of water.